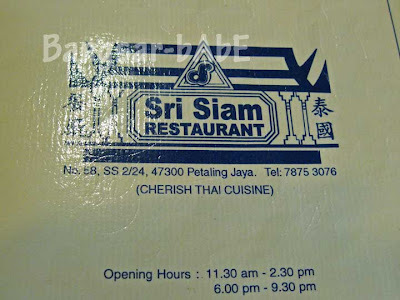 While pondering on what to eat for lunch last Sunday, rif took me for Thai at Sri Siam. 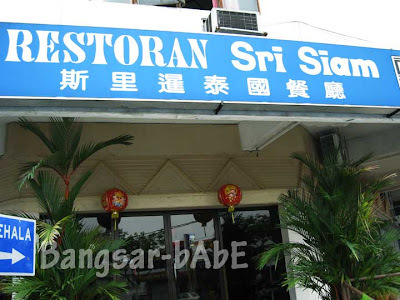 Located in SS2, the restaurant looks like your typical neighbourhood restaurant – minimal décor and practical. As we took our seats, we hurriedly placed our orders and waited in anticipation, with our stomachs growling at the sight of other patrons tucking into their food. 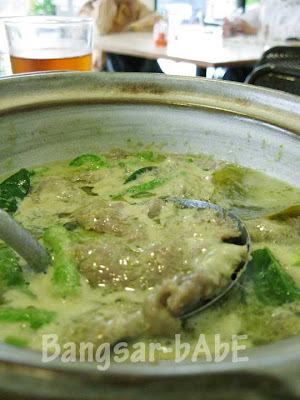 Within 15 minutes, a claypot of bubbling green curry arrived at our table and I happily drenched my rice with it. Between Thai Corner’s version and this, I found this lacking in taste, aroma and thickness. Its only saving grace were the tender beef slices. I was rather disappointed to find no eggplant in the curry. Eggplant is one of the most important ingredients in green curry, in my opinion at least. Long beans were aplenty and crunchy, but I prefer them slightly more done. I was expecting the pandan chicken to be delicious, as rif claims they were really good the last time he was there. I took my first bite, and found the chicken to be a bitter disappointment. The one from Thai Corner tastes much better, and even that, I thought was average. 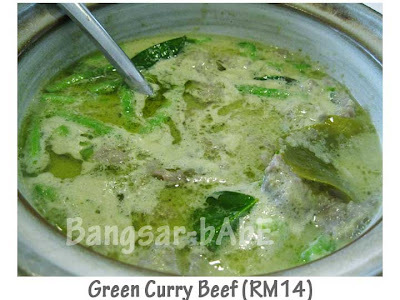 Sri Siam’s version was hard, rubber dry and lacked flavour. rif agreed with me, though he insisted that the one he tried slightly more than a week ago was really good. 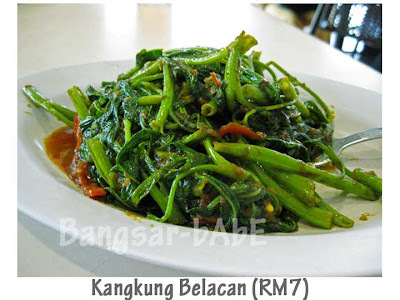 I didn’t think much of the kangkung belacan. 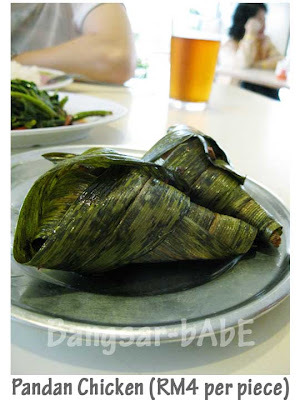 A standard dish found in most tai chow restaurants, this version was fried with lots of sambal belacan and dried shrimps. Delicious with rice. We both enjoyed the pounded cili padi sauce (green and red). It is a fiery delight for those who can’t get enough of spicy food. For dessert, we shared a Tub-tim grob, also known as Red Ruby. Tub-tim literally means ruby and Tub-tim grob means crunchy ruby. 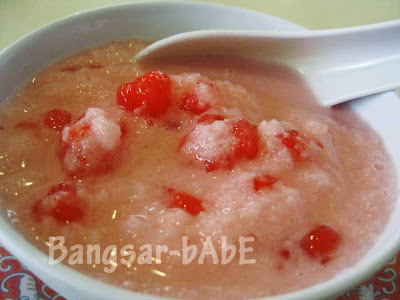 Mix everything together and the dessert turns into a glorious hue of red and light pink. We found this the best tasting dish that day. The water chestnuts were crunchy and sweet, flavoured with creamy coconut milk. Very refreshing, this was a lovely end to an otherwise mediocre lunch. 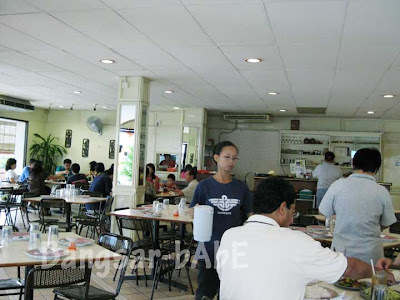 When we paid the bill, we found that they charge RM1 for a tiny plate of sambal! o_0 The bill came up to RM 44.80 inclusive of service charge, Chinese tea (RM1.50 per person), peanuts (RM2) and wet towels (RM1). Prices are reasonable, but their “kiam siap-ness” is a bit off-putting. Verdict: Mediocre food, decent pricing. This place was a total disappointment for us too! We were expecting so much coz it looked so old school, but everything fell short of expectations. don't believe the above posts! i've been eating at this restaurant since the late 70s. you just know how to order!. start with the mixed tom yam. 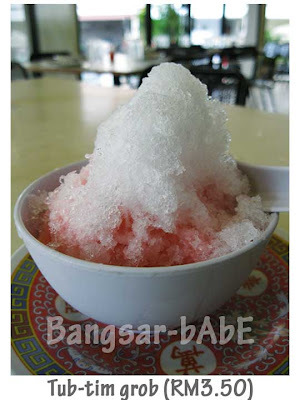 asam senangin, don't go for the usual fair like pandan chicken, duh! i have never failed to at least break my ramadhan fast once every year there.